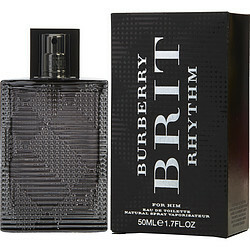 Energetic and exciting, Brit Rhythm from Burberry was inspired by the thrill and emotion of live music. Introduced in 2013, this men's scent is simultaneously sophisticated and youthful, making it a go-to scent for days when you want to express your enthusiasm for life without sacrificing your sleek sense of style. It features notes of basil, verbena, cardamom and juniper berries. Base notes of leather lead to a rich, memorable finish that is definitively masculine. LOVE the scent of this cologne. Just recently received as a present and glad I did. Nice long lasting fragrance. Clean fruit/spice scent for any season. Brit Rythm is a more subtle scent for Burberry. It is perfect for night and close encounters. The subtle note of leather stands out and leaves a relaxed feeling.